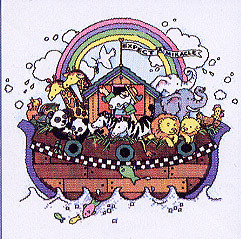 Noah's Ark - Expect a Miracle (cross stitch look) on a White sweatshirt. Heavy weight Hanes 90/10 shirts. Check our shirt size chart to make sure you get the correct size.